Congregation Chevra Thilim was founded in 1892 and is among the oldest traditional synagogues west of the Mississippi, was founded by five men as the "Society for the Recitation of Psalms." The synagogue first appears in the San Francisco City Directory of 1896 at 1036 Folsom Street and then in 1903 at 966 Howard Street. The building was destroyed by the fire after the 1906 earthquake. After the fire, it was reestablished at 1046 Howard Street, on the corner of Russ Street. By 1932, the congregation continued to prosper and a committee was delegated to purchase the existing lot at 745 25th Avenue. “A synagogue was built that surpassed the older building in capacity and in beauty.” Over time, additional properties were purchased totaling six lots in all. In 1946 a larger synagogue center was dedicated. In 1960, construction of a two-story five-room Hebrew School and playground was completed and the synagogue was also remodeled. Chevra was the only synagogue in the community that supported a Hebrew school of its own. Classes were held daily, including Sunday, with over 100 children participating. An involved group of synagogue leaders was credited with undertaking such a momentous task. History tends to repeat itself, and the task remains the same. Creating an enriching environment for Jewish exploration, study and spirituality in the context of a building that is representative of the people who use it is pivotal to sustaining our congregation. Since 1960, Chevra has continued to thrive. Our Rabbi, Shlomo Zarchi, is a young energetic man who is respected not only within our synagogue community but also throughout the Bay Area for his understanding and incredible knowledge as well as his ability to teach and stimulate others. He is an observant and traditional man and is well known for welcoming and embracing individuals with all levels of observance. 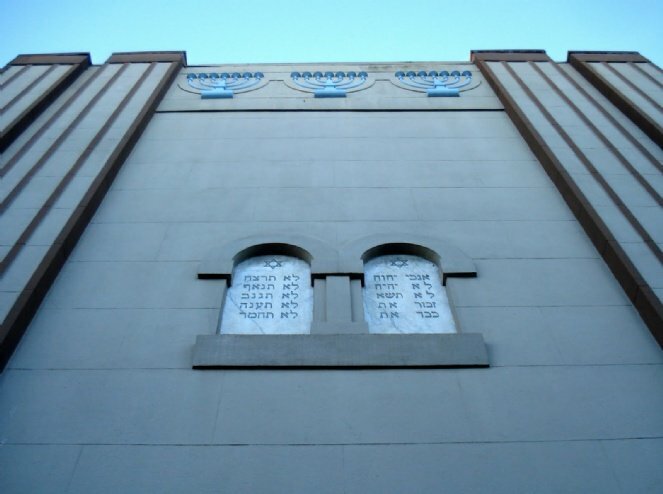 Just as San Francisco is known for its diversity, Chevra is a unique Orthodox synagogue where everyone is valued, respected and welcomed.